The Seresto Collar is Bayer's newest product for safely and effectively protecting your pets from fleas and ticks. Seresto Flea and Tick Collar provides the performance you expect from a flea and tick topical in an easy-to-use collar that provides continuous protection against fleas and ticks for eight months. 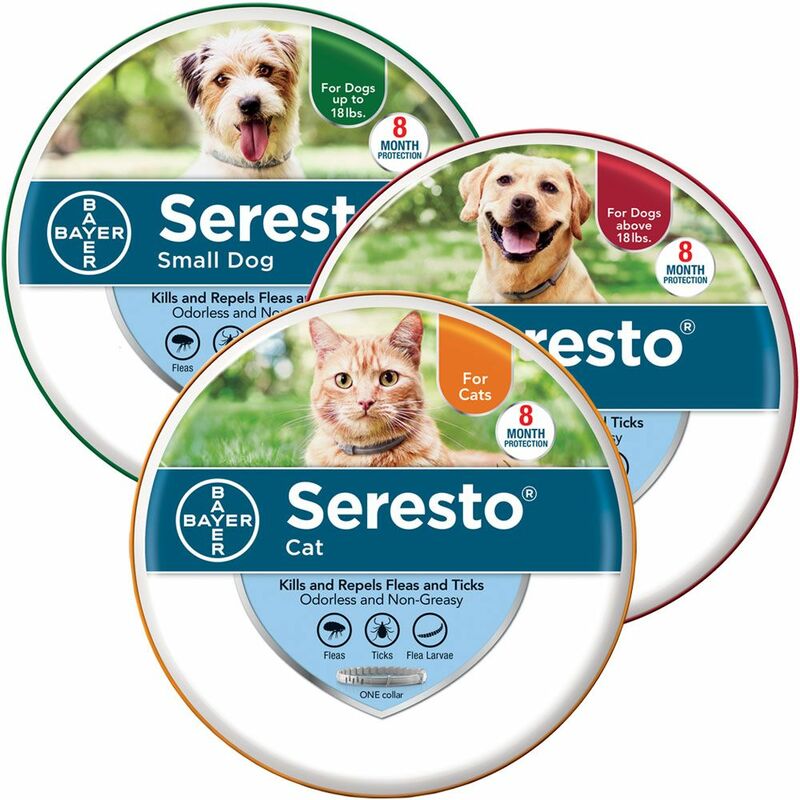 With Seresto®, pet owners have an effective and affordable option for flea and tick control in an easy-to-use eight-month collar. Seresto combines two active ingredients, imidacloprid and flumethrin, providing dual action against fleas and ticks. Bayer's sustained release technology provides continuous protection over 8 months. Convenient and easy-to-use: one application lasts for 8 months. Just set it and forget it!